We see celebrities on the red carpet, on the big, medium and small screens, and in magazines, looking their best, wearing the latest and in the company of other well known personalities. They have access to the biggest, greatest and latest in everything. Have you ever wondered how these celebrities live? Do they live larger than life? What their kitchens look like? What about their bedrooms? Are they regular folk or do they live in Stardom twenty fours a day. What about Star photographer, Annie Lebovitz, J. Lo, George Jones or Lauren Conrad? These amazing people can afford any designer, decorator and stylist. So, it's not about money. In the end it comes down to taste, what they like, love and want to have around them. 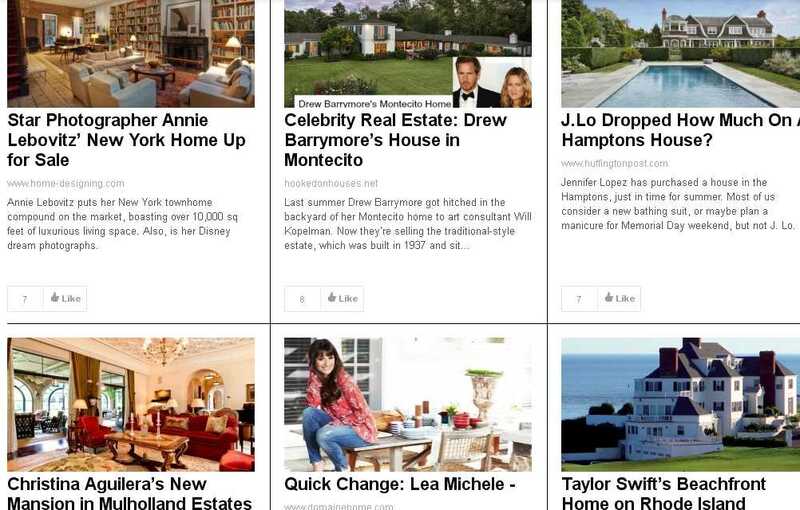 From color schemes to well appointed bathrooms, here's a collection of celebrity homes I've had a virtual walk through. And I wanted to share. Some celebrity homes are over-the-top, opulent and dramatic. I'm not sure I could live in them. Not that anyone is asking. Other homes are subdued, refined and easy on the eyes. But it's their money right so, they probably don't care what you or I think. If you would like to see Taylor Swift's amazing view from her new home, Drew Barrymore's bedroom and kitchen or Brooke Shield's Hampton's backyard, here's your chance to see some amazing shots of these celebrities hideouts. Just click here. You can Like, share or leave a comment on the page. I'd love to know which is your favorite celebrity home and which one you would live in, given half the chance? I quite like Sarah Jessica Parker's New York pad, but Ellen Degeneres' and Portia De Rossi's home isn't too shabby either! What could you do to make your home feel like a Rockstar's? What will you do and what is stopping you? Remember, it's not only about money. Join our list and get our DIY Cheat Sheet and 42 Interior Decorating Secrets when you sign up!